Having Vietnamese food for close to 5 months definitely doesn't deter me from having more. Ever since I've returned to Singapore, I've been having occasional cravings for Vietnamese food. With all the recent raves of some Vietnamese cafes/food places who's photo I've seen all over instagram (N**N**), I personally feel that their food is nowhere close to those I've had in Vietnam. Even now, I'm missing the cheap and tasty street food I had during my internship. I never thought I'll miss anything that much from my internship period tbh. To satisfy my cravings, I searched online for restaurants that serves Vietnamese Cuisine in hope to find one that tastes closer to those I had and.. Despite it's ulu location and the fact that it was a weekday night say around 8pm, the place was still packed with people which clearly proves the travelling worth. We got ourselves some really common vietnamese dishes such as bun bo hue, cha gio, banh cuon kind of stuff, and of course vietnamese drip coffee despite the time so as to settle those cravings and true enough, these are currently the most authentic tasting ones I've tried in Singapore. I can't say that this is definitely the best place to get authentic Vietnamese food in Singapore since I've not tried many places yet but I dare say that this place serves one of the best I've tasted so far. 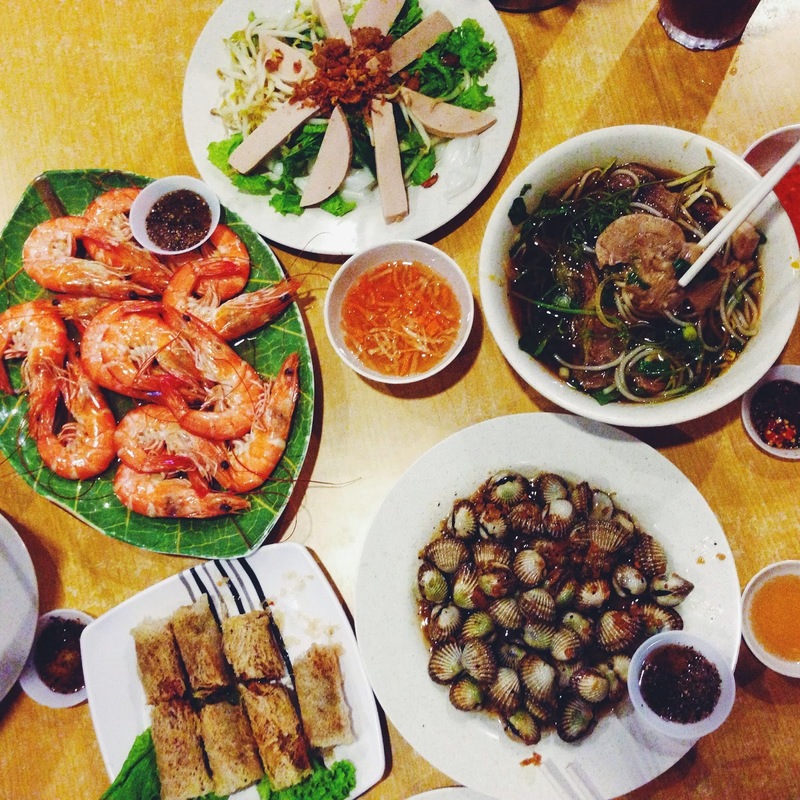 If anyone does come across this post, please share with me where and what dishes I should try for authentic Vietnamese food. I'm in need to settle these terrible cravings of mine, I'll be like super grateful.